Knowledge is as treasure, its key is question. So, God bless you – four people will be given reward: who asks, who talks, who listens & their followers. Jesus said by being enemy for guilty and disobedient people. And search God satisfaction through anger to them. The apostles said that so with should talk with whom? Jesus said: with those who you remember God through seeing them. 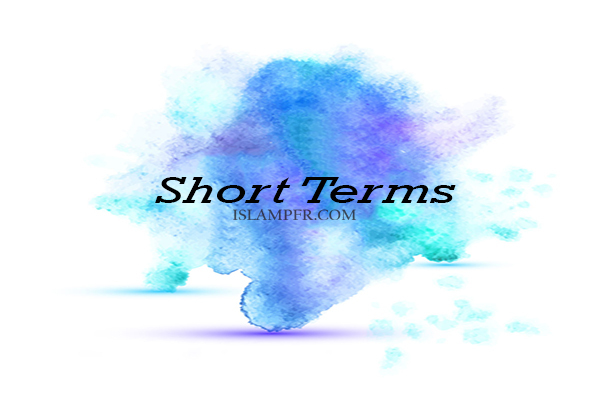 & his/her words increase your knowledge & his /her behaviors encourage you to The Hereafter. Jesus son of Mary PBUH said to his apostles that present your love & kindness to your God & try to close to him! They asked how? Tolerance is for God & hurry is for Satan. We (the Messengers) should talk to people to extent of their understandings. Someone who assigns his/her duty to others will become far from God kindness. The world is in transition, what is for you (good or bad) will come to you; someone who forgot the missed things will be calm. Become bright individual face who is satisfied from God orders. Indeed, I swore that are awarded from behaviors & action which guide you to hell & are awarded from behaviors & action which guide you to heaven. Be aware that Gabriel inspired me that “No one will die unless is received all his/her annuities”. So, don’t ask more, receiving annuities don’t force you obtain it from illegal & unlawful way, because what is set for you as annuity will be received only through obedience.